4 Keys To Consider When Choosing A Cosmetic Surgeon | Wesley Anne Brady, M.D. Now, more than ever, there are more choices available to consumers and potential patients when shopping for the right surgeon and facility to perform cosmetic pick-me-ups. With the plethora of technological devices and products out there, the decision on which path to take can seem overwhelming – slightly daunting even. However, equally as important as choosing which procedure best fits your needs, we believe there are other key components that should be considered in the selection process. Only a few months ago, USA TODAY published an article detailing the need for patients to be smart shoppers. Even with the current patient safety laws in place, in some cases this simply isn’t adequate. We understand the desire to want great results (and want them quickly) and with a great price tag to match. But when it comes to your safety and health, some things just shouldn’t be compromised. Below are some pointers we’ve come up with to help patients make informed decisions that will provide the best experience possible. Expertise When you consult with physicians, it’s important to know about their qualifications, such as how many years they’ve been practicing and how many times they’ve performed the procedure that you’re inquiring about. You should request to view a collection of before and after photos or speak with staff members who have had the procedures themselves. Methods & Training Based on your specific goals, there may be a variety of surgical options. At your surgical consultation, talk to your doctor very specifically regarding your intents and concerns. He or she can use this detailed information to advise you on the procedure and technique most appropriate for your unique needs. A Conscientious & Compassionate Team We, as patients and physicians, strive for a good doctor-patient relationship. 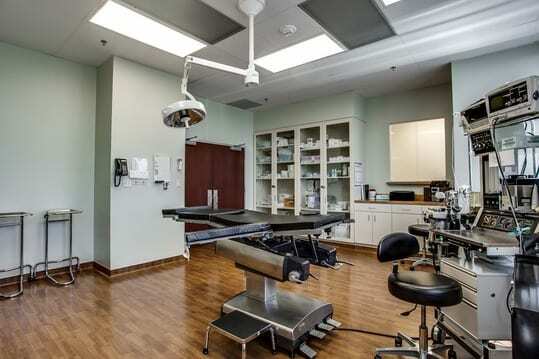 Therefore, when you select a surgeon, you’re also selecting his or her office. The staff, the facility, their character and reputation, their practice culture, and their responsibility to quality patient care and safety are absolutely paramount. Patients need to feel confident that they will be well-educated and well-cared for, both prior to and after their procedure. Facility We urge all patients to have their surgery performed in an office-based surgical facility that has one of the three following accreditations: AAAASF, JACHO, or AAAHC or in a hospital-based operating facility. Accreditation by one of these groups ensures that the standards of care are identified and investigated by a third party. Accrediting organizations continuously monitor and rigorously test a facility’s equipment, environment and safety practices to make certain the facility maintains the highest standards in patient care. With the proper tools, education and a candid, open dialogue with your physician, your surgical experience can be superb – as it should be! Our ultimate hope is for patients to have a safe and extraordinary surgical journey!